Here we showcase 15 useful tutorials, blogs and wordpress resources for the beginners who have a passion for designing and web-development but need assistance on implementing their ideas. WordPress is one of the most widely used CMS in the world and there is so much you can do with the system as WordPress says “imagination is the limit here”. Check out the following sites and get started with WordPress. WordPress Codex: The WordPress documentation hub. Lorelle On WordPress: One of the popular blogs on WordPress topics, hacks and tweaks. WPBeginner Beginner’s guide for WordPress: The perfect resource for WordPress beginners. Has everything a first-timer needs to know. Mark On WordPress: The WordPress blog of Mark Jaquith — the lead WordPress developer. Digging Into WordPress: Another blog on WordPress tips. WordPress Tutorials: WordPress and HTML tutorials for blogger’s and developers. Cats Who Blog Useful resources for bloggres developers and designers. 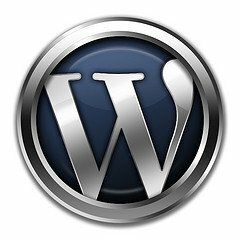 Free WordPress Tutorials for beginners: Recommended blog for beginners. 4Blogger: WordPress helpful support community for newbies. Discussing everything. WordPress Hacks: A pool for WordPress hacks, providing high quality of resources and tutorials for readers.g. Triphp Web Master Blog: Web Master forum providing tips and articles to make the most of your web-sites. Cats Who Code: A cool blog dedicated to those who create and maintain web-sites. Vandelay Design: Steven Snell has established an authority blog on web design and related topics. Nettuts+: Blog/tutorial site for fresh and upcoming web designers. Noupe Design Blog: If you are curious of finding new and better in designing and development, follow Noupe Design.